I have a webcam that I like using for different applications, however when I’m using it in MSN Messenger for example, I can’t use it in another application. Is there any way I can use it in more than one place at a time? Anyway, the problem lies in the fact that the Windows interface that allows applications to talk to webcams creates an exclusive lock on the hardware and doesn’t allow other applications to access it. If you’re interested the API is called TWAIN, which allegedly stands for Technology Without An Interesting Name. So, TWAIN doesn’t allow multiple applications to access the same hardware, however it’s possible to find proxy applications that can abstract the images away from the hardware that produce it and thus allow multiple versions of it. 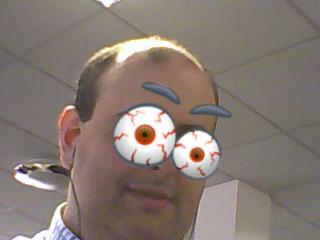 I use a free package called ManyCam for this. It’s free and it’s lots of fun, so download it and check it out. ← Previous Previous post: How do I protect my identity on Facebook? Next → Next post: Where should I host my blog? do you know of any open source split cam type software? i’m sick of the trojan infested Manycam/Splitcam proggies on download.com. those programs access private files in internet explorer and hook your computer to spyware/adware/trojans. using snort and IDS (intrusion detection software) i have traced several remote ip addresses (european mostly) connected to my computer, from both Manycam and Splitcam. the ports in question were always over 50,000 (classic trojan activity).